Gifted students are offered specialized services in grades K-5 through the PACE program. PACE stands for Program of Academic and Creative Enrichment. Our gifted students attend PACE everyday, Monday to Friday, led by a gifted certified instructor and surrounded by other identified gifted peers. We believe that gifted students need both direct instruction and opportunities for independent learning, gifted education services that support the essential curriculum should focus on higher order thinking skills, advanced research skills, and in depth processes and products, and gifted academic services will prepare the students to become lifelong learners who strive to reach their potential. In addition to PACE, qualifying 2nd through 5th grade students participate in advanced content math, reading, and ELA classes. Advanced content classes empower students to apply grade level standards in greater depth and with higher levels of complexity. Students are engaged in learning activities that require solving multifaceted, open-ended, real-world problems. They are challenged to interpret, predict, and analyze while thinking creatively. Advanced learners are offered opportunities to explore topics of special interest and to compete in competitions. 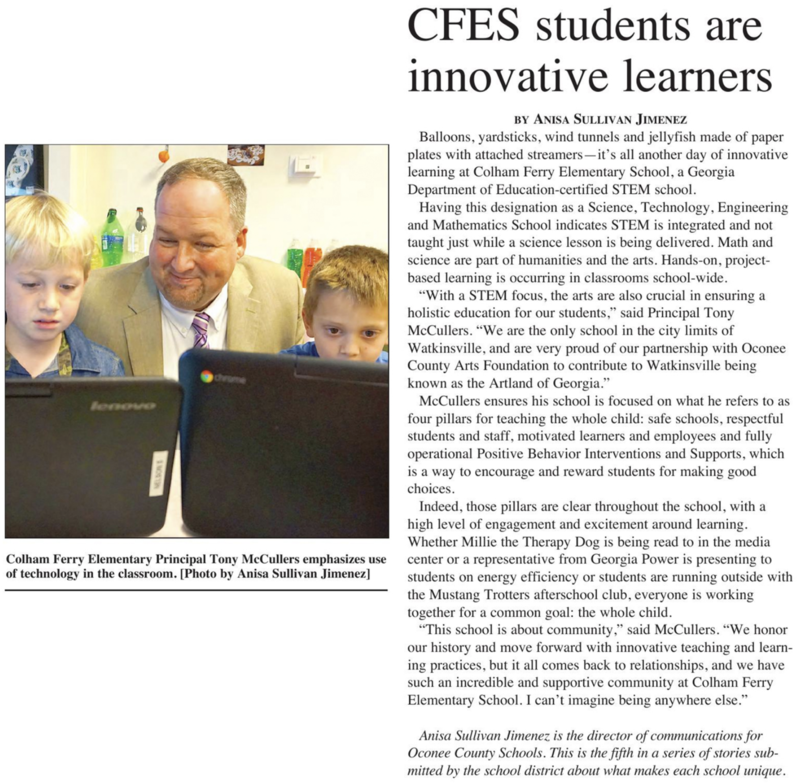 The state only requires schools to offer one delivery model for gifted students, but CFES goes well above and beyond. We also offer services through the gifted cluster delivery model incorporating team-teaching, one-on-one conferencing, and intentional gifted choice boards to extend and expand student learning and achievement. You are welcome to click on the following link to take a peek into the day of a gifted student at Colham Ferry Elementary School.